Nature’s Treasures and Northern Lights – Winter – The Great Canadian Travel Co.
During this unforgettable guided tour you will be introduced to the best-known natural treasures that are tucked along the rugged coastline of Snaefellsnes Peninsula, famous for its mystical glacier and ties to the ancient Sagas. Upgrade to 2-course Chef’s Choice fixed menu, 2 dinners in Countryside – US$42 per person, must be booked in advance with your tour. Arrive Iceland at Keflavik airport and transfer downtown (extra charge) for your day at leisure in Reykjavik and an overnight stay. Each day on this tour brings unique encounters with local traditions, from tasting fermented shark, to meeting Viking horses, and enjoying homemade skyr (a type of thick yogurt) at a dairy farm. 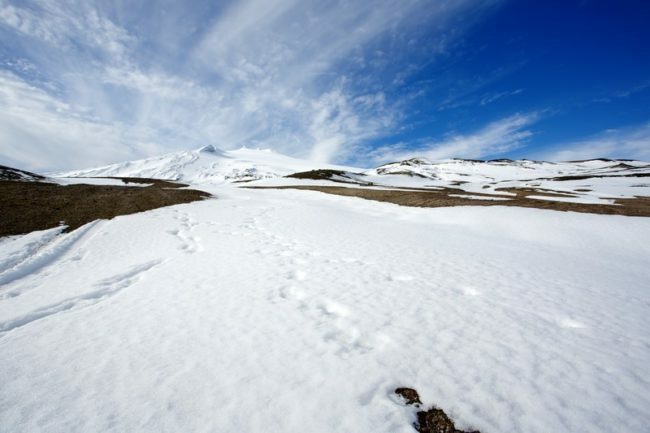 Sample freshly caught seafood out at sea and walk among geological wonders of the Golden Circle. At day’s end, relax in the Icelandic countryside for optimal viewing of Northern Lights. 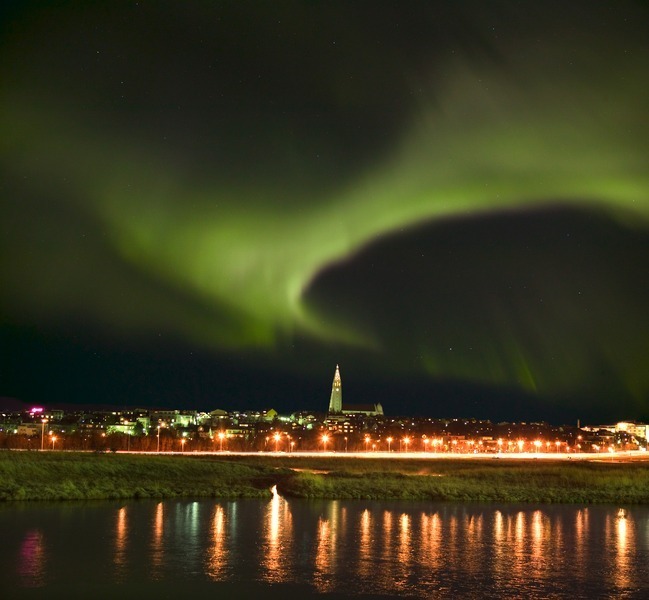 Discover first-hand the colourful capital of Reykjavik with a sightseeing tour. Catch the city’s energetic vibe through top visitor attractions like the visually stunning Harpa Concert Hall and Parliament on bustling Austurvollur Square, and enjoy panoramic views from the city’s main landmark, Hallgrimskirkja church. Uncover a wonderful mix of old and new exploring the Scandinavian charms preserved in the colourful buildings of the old town Centre and the modernity of the trendy harbour district. 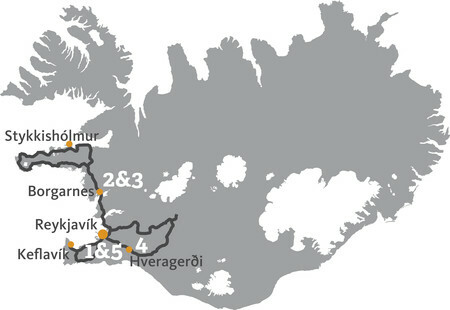 Depart Reykjavik and travel northwest via an undersea tunnel through Hvalfjordur (Whale Bay). Head to the friendly town of Akranes to visit the local Museum Centre, which preserves a comprehensive collection of geological and maritime exhibits. Afterwards, climb to the top of a lighthouse to enjoy spectacular views of the wild coastline. Head onwards to the bubbling waters of Deildartunguhver, Europe’s most powerful hot spring, which provides heating for most of the homes and businesses in the area. Nourish your thirst for culture at Reykholt, which holds an important role as the home of renowned Icelandic Saga writer and medieval scholar Snorri Sturluson. The day ends with a scenic visit to a duo of exceptionally beautiful and unique waterfalls at Hraunfoss and Barnafoss. Each waterfall has a mysterious secret to reveal. Overnight in Borgarnes area. 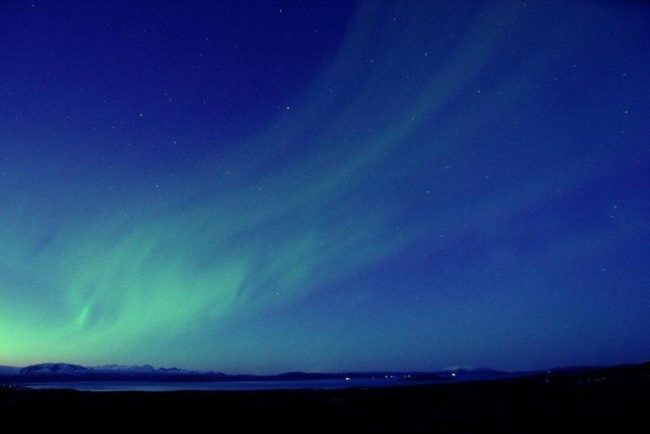 Evening Northern Lights Hunt: Due to the location in West Iceland away from light pollution, your group is in a prime position to hunt for the luminescent green light show that Vikings believed were Valkyries riding across the sky. After breakfast, head to the delightful town of Stykkisholmur. 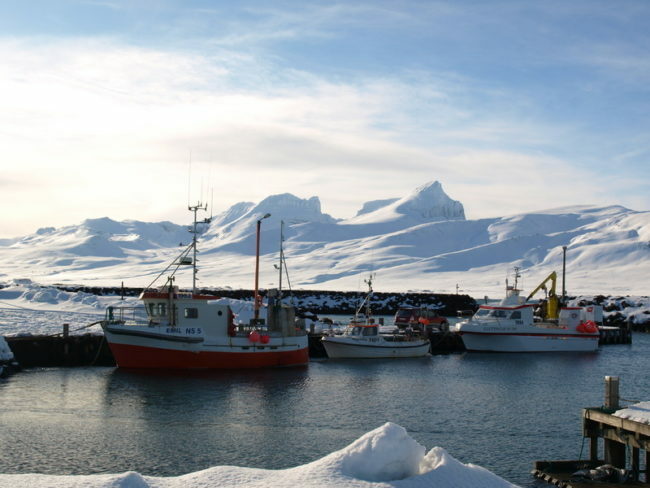 Here you´ll embark on an adventurous sail in Breidafjordur Bay (UNESCO nominee) to encounter thousands of tiny islands and experience “Viking Sushi,” a sampling of sea scallops, urchin, and crab drawn onto the boat straight from the pristine Icelandic waters. Along the rugged coastline of Snaefellsnes Peninsula encounter secluded fishing villages like Grundarfjordur, with its landmark Kirkjufell Mountain and surrounding fjord teeming with herring and orca whales, and Hellnar with a year round population of less than ten residents. 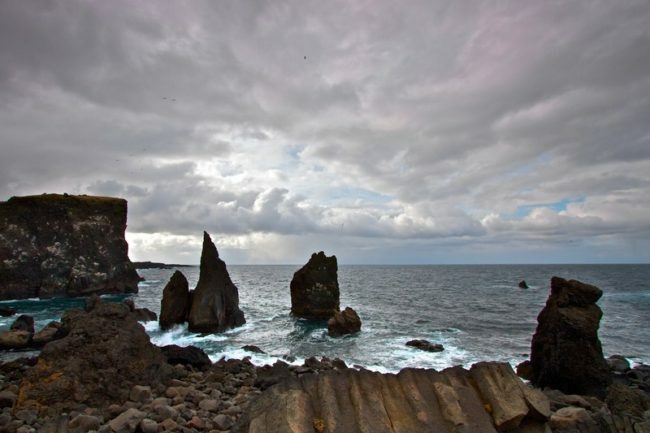 The picturesque harbour village of Arnarstapi offers the opportunity to walk among columnar basalt rock formations and cliffs, swarming with colonies of seabirds. 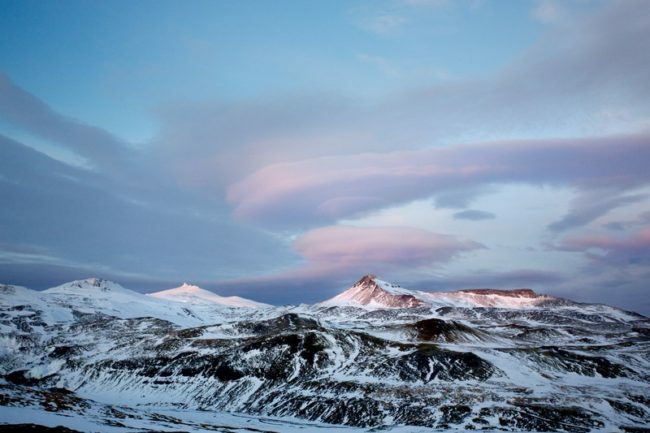 Throughout the day, savour the remote tranquillity of Snaefelljokull National Park, which exhibits an astonishing variety of natural landscapes from moss blanketed lava fields and pebbled beaches to imposing cliffs and the palpable force of Snaefellsjokull glacier-volcano (last eruption: 250 AD). Dinner and overnight again in Borgarnes area. Evening Northern Lights Hunt: If weather conditions the night before were unfavourable, there is another hunt for the elusive Aurora Borealis. Ideal meteorological conditions include a clear sky with icy temperatures and, preferably, no moon. Iceland’s Golden Circle showcases a trio of celebrated natural attractions, including the dramatic Gullfoss waterfall and the geothermal fields of Geysir Hot Spring Area, alive with boiling mud pits, steam vents, and exploding geysers. Its centerpiece is Thingvellir National Park (UNESCO World Heritage Site), where Viking settlers established an annual assembly in AD 930 which has become the world’s oldest ongoing parliament. Thingvellir is also a geological masterpiece, as it marks the visible site of the mid-Atlantic Ridge where the North American and Eurasian continental plates meet. During the day, visit Fridheimar, a greenhouse and horse breeding farm, for an educational and enjoyable interaction with the Icelandic horses. You will also get to see first hand how Icelandic farmers are using the power of the geothermal water to produce vegetables, even in winter time. After an amazing journey, the road takes you back to Reykjavik, where the evening is at your own leisure. Dinner is on your own. After breakfast, check-out of your hotel and transfer back to the airport (extra cost) to catch your flight home. You have the option to add in a visit to the famous Blue Lagoon spa. A variety of packages are offered which include your admission at a pre-set time. Advance booking is required.